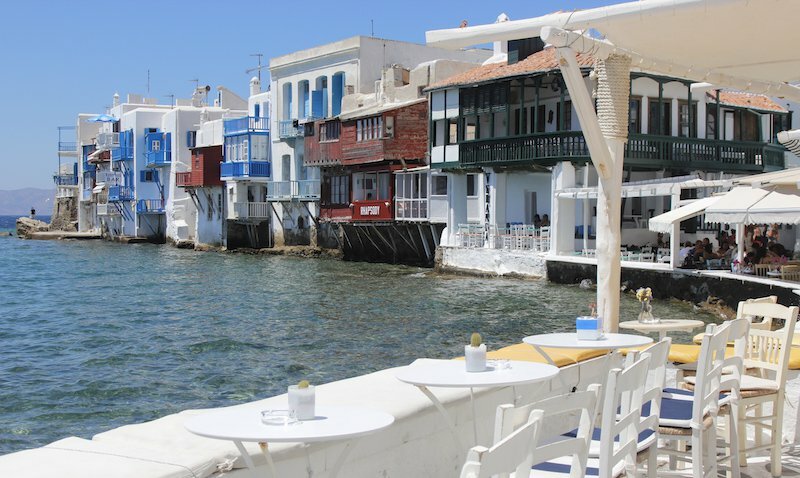 The Greek island Mykonos is known as “the island of the winds” and for its turquoise waters and white buildings with colorful window sills, however there is more than meets the eye about the history and current trends that this island has to offer. Let’s take a look at 10 fun facts about the island that you probably didn’t know! 1. The population in Mykonos varies greatly throughout the year. There are only some 15,000 permanent residents on the island – 4,000 of which are foreigners. However, in the summer months, the island accommodates over 50,000 people! 2. Sure you’ve heard of the island of Mykonos, but do you know how it got its name? In Greek mythology, Mykonos was named after its first ruler Mykons – a dependent of the Greek god Apollo. 3. Mykonos is said to be the scene where the battle between Zeus and the Titans took place. 4. Many celebrities visit the island nowadays, however, did you know that since the 1930’s famous artists, politicians and wealthy Europeans have been vacationing on Mykonos? 5. In ancient times Mykonos was considered a poor island. However, in the 50’s following the end of WWII, tourism has been the main source of income for Mykonos. The island’s economy also relies greatly on the sea. 6. tourism is big on Mykonos and the hotel sector benefits from the 50,000 people who inhabit the island during the summer months. The price of hotels on Mykonos can range from €70 to over €500 and many people opt to spend even more and rent a private villa! 7. The island’s iconic windmills were most built by the Venetians in the 16th century and there are 16 on the island. 8. A popular trend on Mykonos is dancing the day and night away at a beach bars and the island has become known as a party hotspot. 9. Mykonos is known around the world for its beauty, clubs and in recent years, as a LGBT-friendly destination with travel agencies and special events coordinated on the island catering to the LGBT community. 10. The island is also known for having some of the most gorgeous beaches and with over 300 days of sun a year you are sure to catch some rays. Just be sure to hang out at the beach until the sun goes down – the island is known for its breathtaking sunsets!